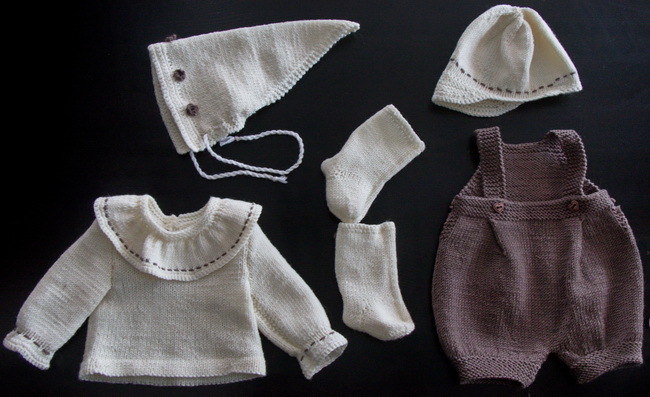 This time I have knitted a plain outfit in white and brown for your doll. I hope you will enjoy it! 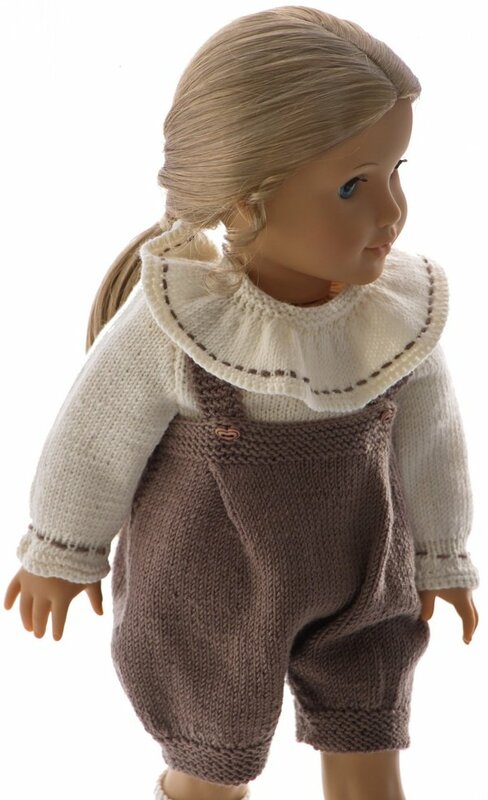 Both a boy and a girl doll can use this outfit. I started knitting the romper. Round the waist it has small folds. It is buttoned on each side of the waist. ... and are kept up with suspenders buttoned front. It is wide and lovely to wear. Then I knitted a beautiful sweater with a stylish wide collar. 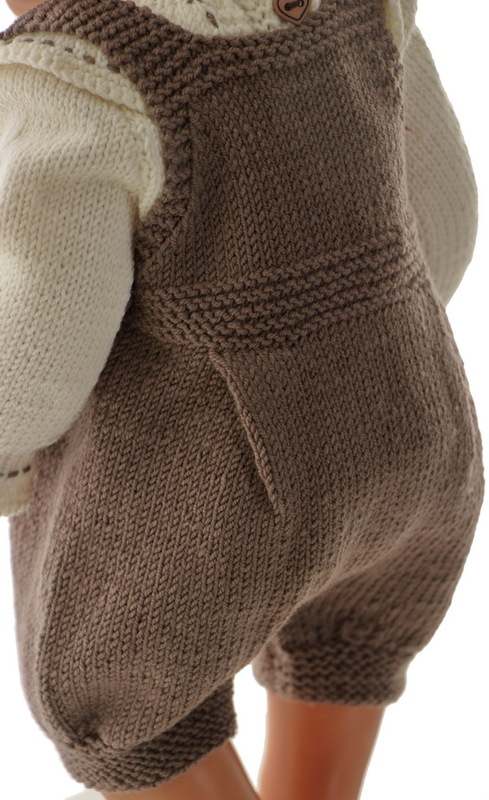 The collar has a brown row tacked around the edge. For the girl doll I knitted a cute headscarf. It has I nice edges crocheted in the front. 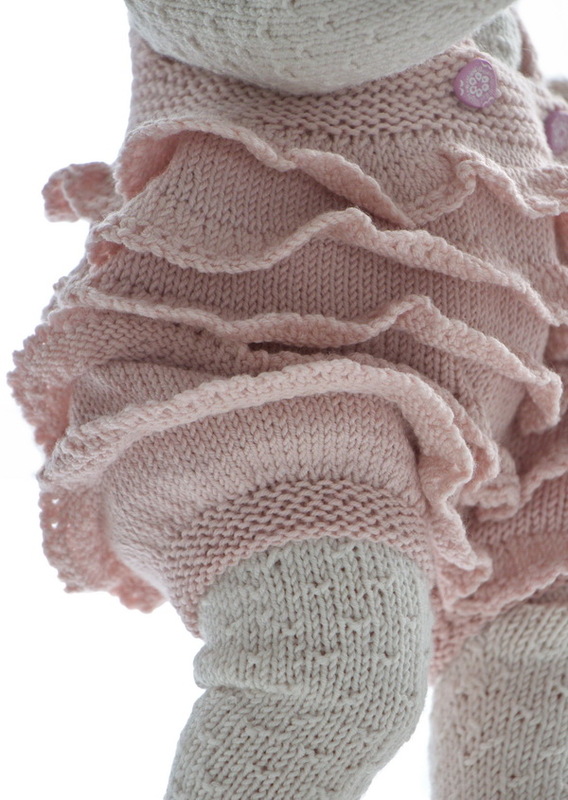 At last I crocheted small buds and sewed them along the front of it. For the boy I knitted a cap. 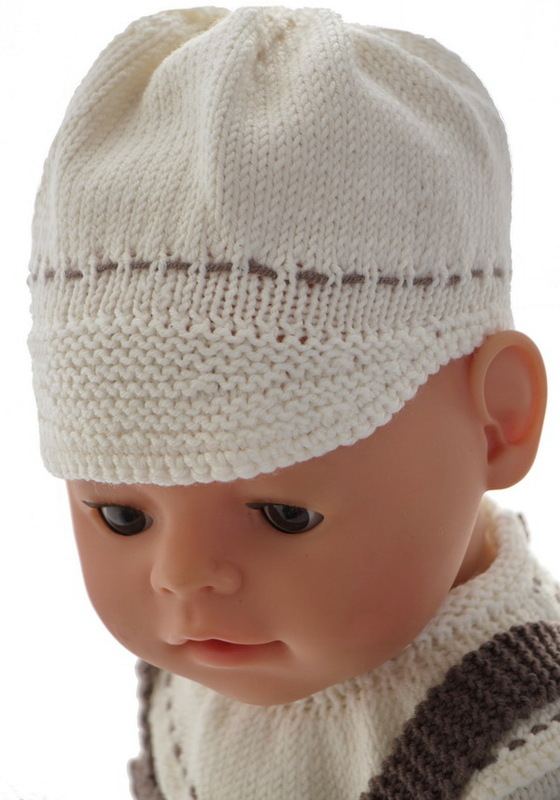 The cap can be used of both a boy and a girl doll. It has a peak in the front. Around the edge I have tacked a brown row like tacked for the rest of the garment. At last, only a pair of socks were missing.